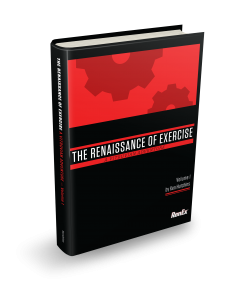 If you haven’t grabbed your copy of The Renaissance of Exercise: A Vitruvian Adventure Volume 1 I wanted to let you know that we are almost sold out of the copies we published. This is your last chance to grab your copy NOW before it’s too late. I know you are interested in changing your life and your client’s and we are offering a way for you to do that. Here’s the link again to grab your copy before it’s too late. I hope you have enjoyed this process and have gotten some value out of it and look for future blog posts and videos from us where we will continue to push the envelope of innovation and share our best practices and struggles for success but for now best of luck and I hope to you grab your copy before Saturday at midnight because we are shutting it down. P.S. Take ACTION and join us in revolutionizing the fitness industry. Grab your copy of the textbook HERE! Previous post: Register Now for this FREE High Content Teleseminar! Next post: Another Outsider’s RenEx Experience!